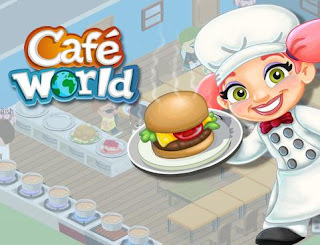 Now I am giving you new sets of tips, tricks and hacks in Cafe World which might help you now to take advantage the game. Its your option again to cheat as I always remind you. It might help you to enjoy the game or else, do the clean game. As the same concept from the other facebook game, you can earn more cafe coins when you visit your neighbors as often as you can and eat their foods. And one of the good glitch in Café World, you can set up your serving table in the nice and right way as your waiter will sever and clean up without having to walk in each table. Remember that the speed hack can decrease the cooking time and increase the restaurant rating. The higher rating, the more chance to earn as fast as you can. You should also need a Firefox, Cheat Engine 5.5 and Adobe Flash Player 10.0. Open now your cheat engine and choose firefox. On the right side of the Cheat Engine, check the Speed hack and enter your desire speed. Remember not to increase your speed above 30 as it will reach the timeout. You need a FireFox and download cheat engine 5.5. Go to Customize- Functional- Stoves. Look for line ‘4 of 4 stoves used and scan the “4”. Now start dragging the 1 stove from the café down into the shop. Now you can see the line “3 of 4 stoves used” and scan the next “3”. Repeat the steps till you have 1-3 addresses left and then change the value of the. Remaining addresses to “1” and TICK freeze and that’s it, you can now have an infinite stoves. You can do the same procedures in counters too. Are you in needing a help ?! I'm working hard in Cafe World and really need your help. Please send me a special delivery box and help me become a master chef. In return, you will get one too. Hurry, my progress depends on you!